Businesses cannot receive AusGAP certification unless high standards of the above are met. Every AusGAP certified business has had years of experience and knowledge working in the Australian turf industry. What Does AusGAP Mean To You? 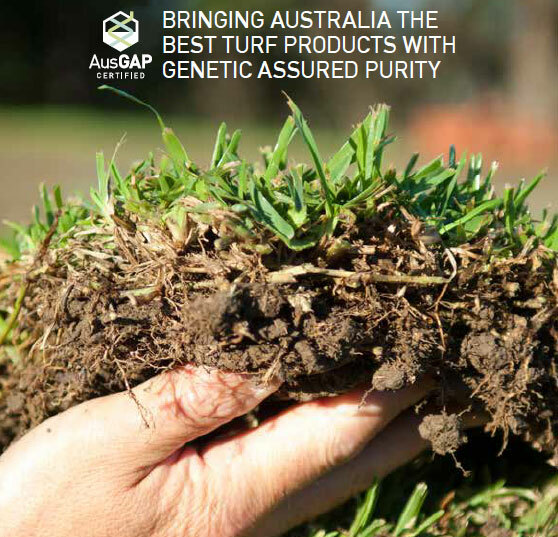 AusGAP - The Australian Turf Accreditation Program - has been created for the country's leading turfgrass producers to provide you with the assurance that their turf adheres to a stringent set of quality standards. The AusGAP accreditation system provides assurance that the entire production, delivery and installation of your turf is undertaken to the highest industry standards. Purchasing your turf from an AusGAP certified producer gives you the peace of mind that your lawn adheres to a strict set of quality standards, ensuring your money is being spent on the best quality turf in the industry. What To Look For When Purchasing Turf? Choosing the right turf variety is an important decision. Make the right decision and you'll have a beautiful and functional lawn for years to come, but the wrong choice can affect the look of your home and add un-necessary extra work! Before purchasing your turf be sure to do some research or ask an expert on the most suitable variety. Shade, temperature, usage and access to water are just a few variables that can greatly influence the variety of turf needed. Once you have selected the suitable variety, you then want to be sure the turf you are purchasing is of the highest quality, and is produced, sold and delivered to the highest industry standards. By purchasing your turf from an AusGAP certified producer you can be sure of this as they have undertaken in strict compliance measures to ensure this is the case.